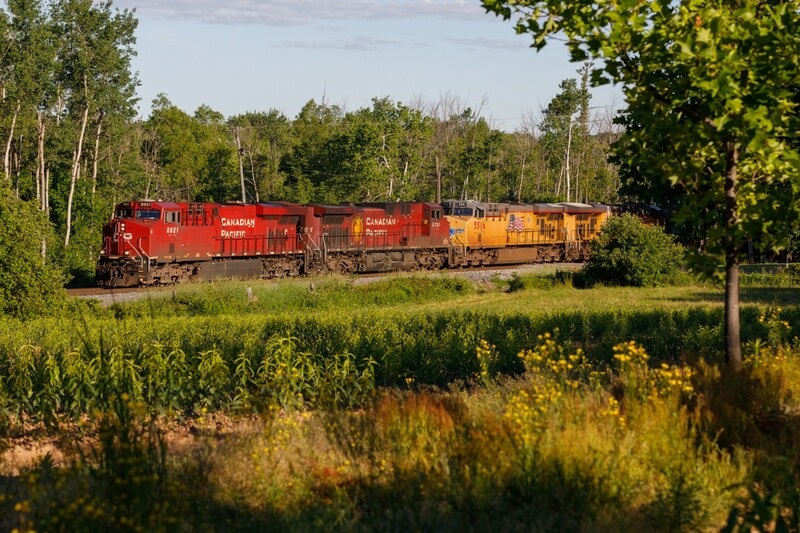 Railpictures.ca - Ryan Gaynor Photo: On a gorgeous June morning, Canadian Pacific train no. 143 rolls through the countryside at Waterdown, ON. | Railpictures.ca – Canadian Railway Photography – photographie ferroviaire Canadienne. Caption: On a gorgeous June morning, Canadian Pacific train no. 143 rolls through the countryside at Waterdown, ON. Nice number for the leader. CP 8921, because of the old RSD-17 Empress unit; always grabs my attention. Very scenic image.